Frogmore Mill, was a corn mill dating back to the Middle Ages. At the end of the eighteenth century it was converted to paper-making. Shortly afterwards two brothers named Fourdinier leased the site which was near the Grand Junction Canal enabling easy transport of both raw materials and finished products. The first paper making machine in Britain was installed at Frogmore Mill in 1804. By 1890 the mill was in the hands of The British Paper Company Limited which made paper from recycled waste paper. Despite its grand name the company only ever operated from Frogmore Mill. 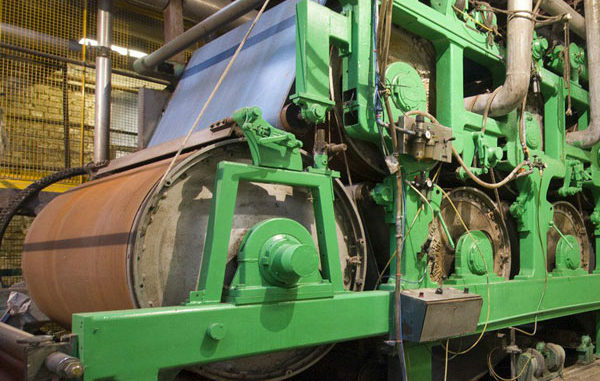 A paper making machine powered by a reciprocating steam engine originally built in 1895 remains in the mill. While modifications and improvements were made over the years, many original parts survive. The machine only ceased production in 2009. Frogmore Mill is a 15-minute walk from Apsley Station on the West Coast Mainline or about 40 minutes by car from Milton Keynes. Cost: £9.00 (£7.50 + VAT). You can pay online or print an invoice to pay by cheque or bank transfer.